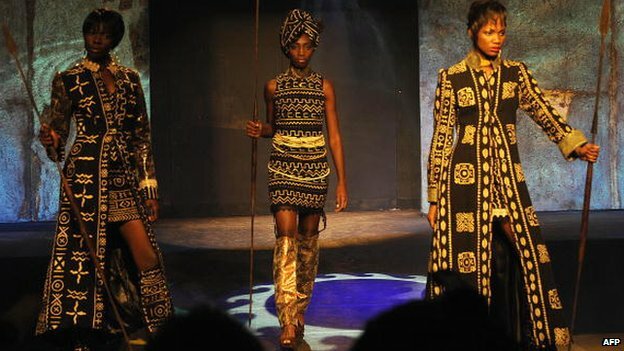 Known as the enfant terrible of Ghanaian fashion, designer Kofi Ansah propelled Ghana on to the catwalks of haute couture. Journalist Elizabeth Ohene looks back at the career of the man who died earlier this month aged 62 and whose funeral is being held on Friday followed by a fashion show in the forecourt of State House in the capital, Accra. Going to a Kofi Ansah fashion show has always been an exhilarating and exhaustive experience. “Without clothes, we cannot play our parts,” he once said. A true pace-setter and innovative designer, Ansah always insisted his clothes must always tell a story. And what stories he told with his clothes and how elegantly he told them. I recall his response when I suggested he was in the beauty industry. “No, I am not in the beauty business, I am in the bringing happiness business,” he assured me. He would say there was nothing more satisfying than making clothes that make people look and feel good about themselves. He first made headlines on his graduation from the Chelsea School of Art in London and received the ultimate endorsement when he made a beaded top for Princess Anne.Born in 1951 into an artistic family, he believed he inherited his creative talents from his parents. His father, who was a photographer and classical musician, encouraged him to pursue his interest in art and design. After graduating in 1979 with First class honours in fashion design and distinction in design technology, he started work in London and was soon making waves in the UK fashion scene. But in 1992, he came home to Ghana, where he was to make an even greater splash. This was my first Kofi Ansah piece of clothing. It was an indigo skirt and top. The top was dramatic, with deep green patches and sleeves that can only be described as “interesting”. Of course I wore it and it was a “wow-item” in my wardrobe for years. He soon changed the face of the Ghanaian fashion landscape and set about to blend the richly textured and boldly coloured local fabrics into fashion collections that have attracted a strong customer following in both Ghana and abroad. MentorHe loved fabrics and took a special joy in making distinctive items of clothing. He loved rich colours and for a while indigo was like his trademark. He was irreverent, had flair, a meticulous eye for detail and an unsurpassed passion for his art. He claimed that no two shirts he ever made were the same. He put a brass mask that he named “the head” on everything he made and this soon became his brand and label. 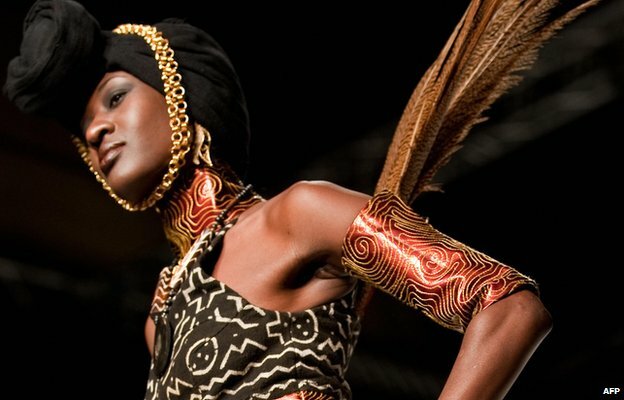 For him this was a representation of the African through a 3D art piece that marked his comfortable roots in African culture while he experimented with the most avant-garde haute couture. A few designers copied him but he always insisted he was comfortable with this. His company, Artdress, was a house of concepts that developed fashion as art, from clothes to accessories like beads, belts, bags, broaches and hairstyles. He exhibited the spectacular and intriguing in his collections but his attraction was that his clothes were wearable. Before very long, the enfant terrible of Ghanaian fashion had become almost an establishment figure; a mentor and an inspiration to many. He attracted and trained many young people and was especially proud to point out successful people who had been through his tutelage. 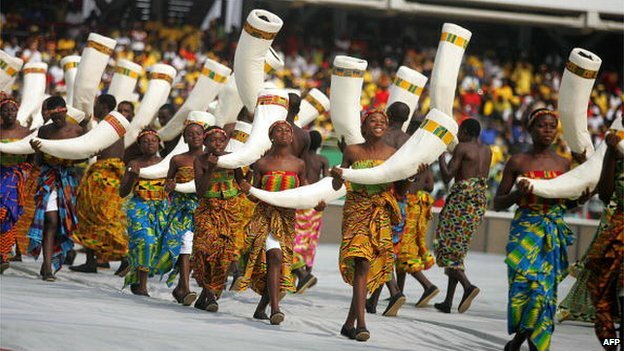 When Ghana celebrated 50 years of independence in 2007, Ansah designed the official anniversary cloth and when Ghana hosted the African Nations Cup football competition the following year, he designed the costumes for the performers at the opening and closing ceremonies. I remember he insisted he had to listen to the music that had been especially composed for the ceremony because that would influence the design of the costumes. Watching that performance, which attracted critical and popular acclaim, I could appreciate and understand why. Ansah, who is survived by his wife and three children, claimed he was not in the beauty business but he certainly liked and created a lot of beautiful things which brought a lot of happiness to a lot of people. To quote the English poet, John Keats: “A thing of beauty is a joy forever”. Kofi Ansah has left enough things of beauty to bring joy forever to Ghana. Kofi Ansah: Ghana mourns fashion guru 0 out of 5 based on 0 ratings. 0 user reviews. Celebrity Column: Peace Hyde: You Think Big, You Get Big!